I had not eaten this in years and years. Typically, you would not eat this at home, as it takes some trouble, but it used to be a classic in restaurants in France on the Sunday menu as a side to a leg of lamb for example. You need the biggest artichokes you can find, there are nice ones from California just now if you don’t happen to grow them yourself. Steam one artichoke (stem broken off) per person in the pressure cooker, or a large pot, until the leaves come off easily. Let them cool a bit and open the leaves to remove them without taking too much from the heart. Eat the leaves at a separate meal with vinaigrette to dip them in. Remove the straw (choke) in the heart as well by pulling on it. The hearts are ready or they can be warmed up later in butter . 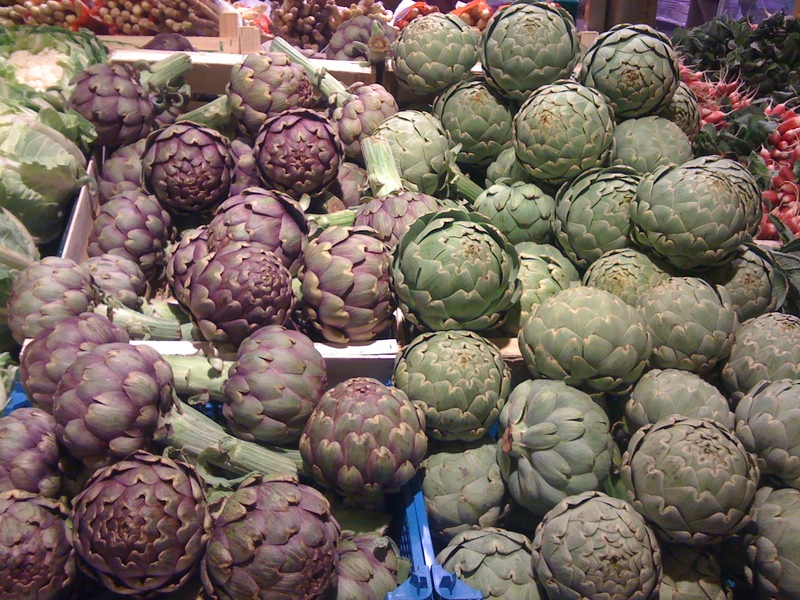 Fresh artichoke hearts or "fonds"
Don't have to eat the watercress! 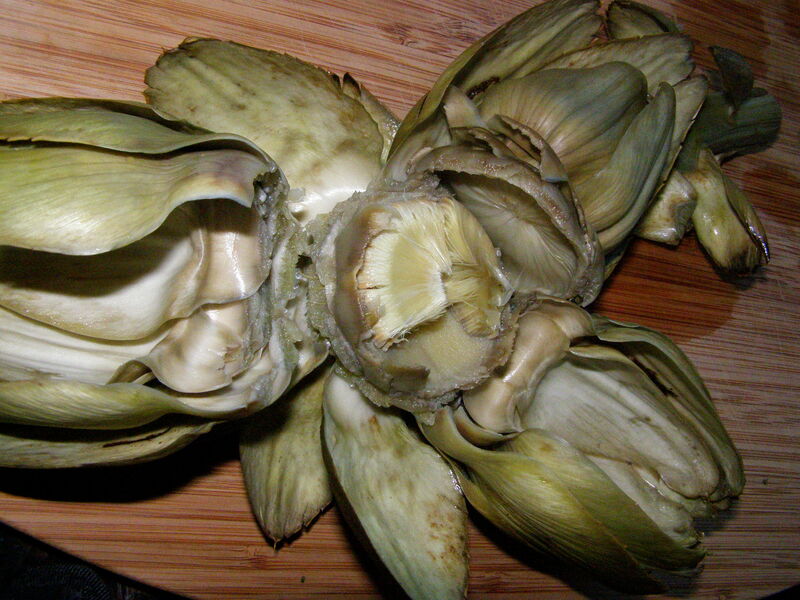 If you don’t mind extra waste, another way to prepare the artichokes is to cut the leaves off with a knife before cooking, leaving more of the meat from the leaves on the heart itself. Then they are boiled in salt water and then the straw can be removed. It makes for a slightly bigger heart. Restaurants do it that way, but I enjoy eating the leaves so why throw them out. 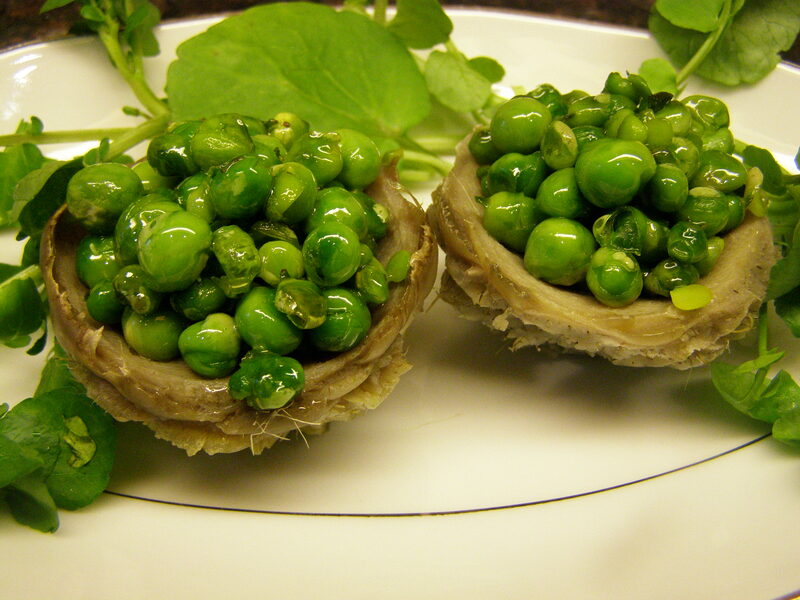 Shell the peas by pressing on the side of the pods. Discard the pods. Contrary to what some people say, they are not worth saving, not only it involves a lot of time, but the result tastes rather poor and we don’t have food shortages like in war times. Pods are only good for the compost pile! In a small pot, warm up two small cubes of butter and a tsp olive oil with a sliced green onion, add the peas on medium and salt. Cook about 5 minutes depending on the size of the peas and their freshness. 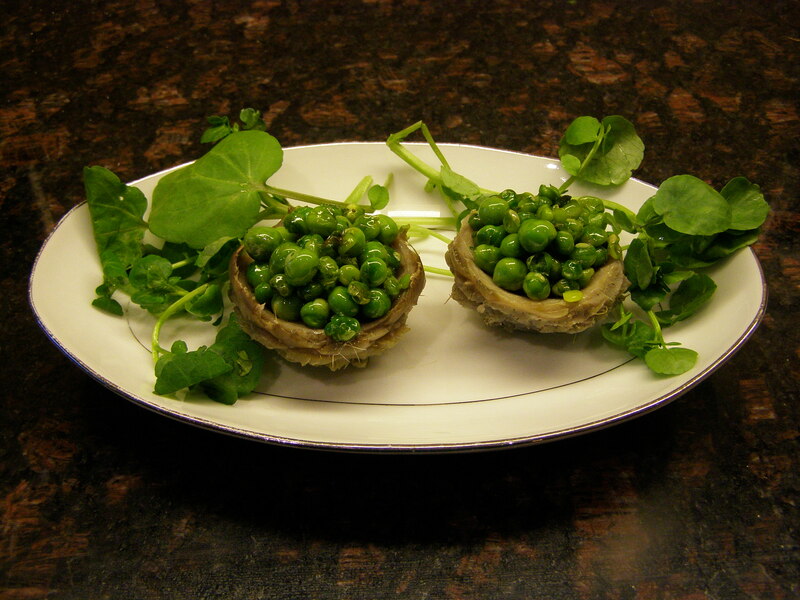 Arrange the peas inside the artichoke hearts, set on a bed of watercress and serve hot. One per person is good, goes well with tomates provençales as garnish for a roast. I hate to admit that this is best with fresh peas and artichokes but it is not bad at all with canned small peas and artichoke bottoms, if you want to make this in the winter. 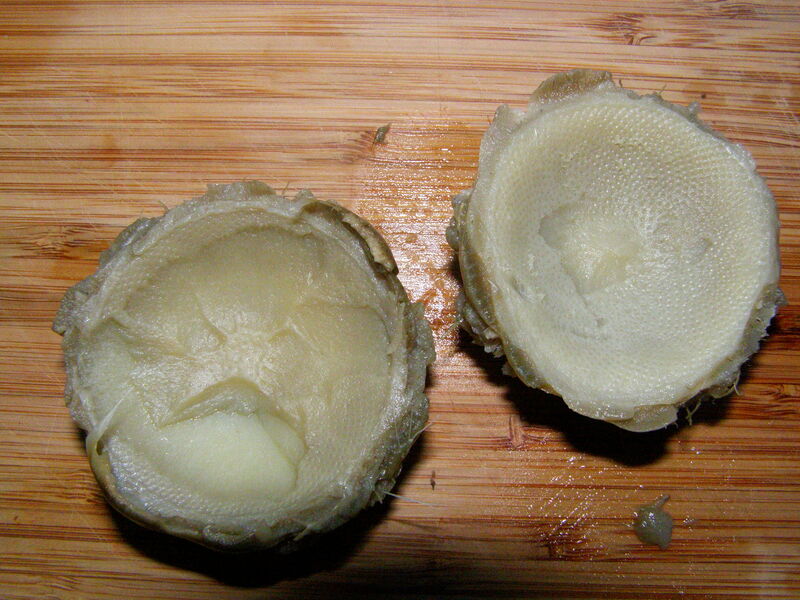 If you make the artichoke hearts in advance , a little lemon juice will prevent them from turning black. If you do not like artichokes leaves with vinaigrette, throw them in, next time you cook nugget potatoes, it will give them a wonderful flavour. Remove them before serving. This entry was posted in Vegetables and tagged artichokes, food, food photography, France, french cusine, peas, photography, pictures, recipe, recipes. Bookmark the permalink. Wonderful story! Thank you for your sharing , I love French Food. Thanks for the comment, French food it is! follow the blog!